Present state: A housing development (Regal Close) stands on the site of the station. Notes: Standon had a single platform on the down side of the line north of the level crossing. 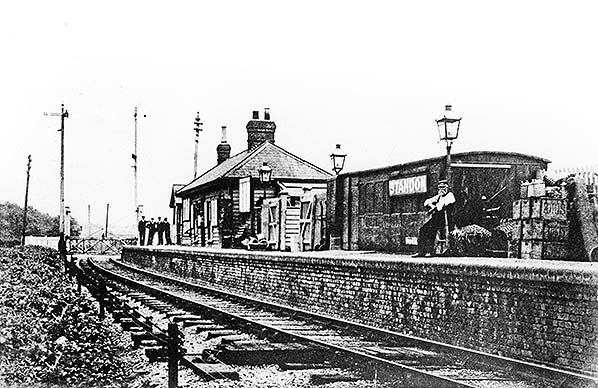 The station was rebuilt in 1869 after a fire and the wooden buildings still in use at closure dated from then. There was a Saxby & Farmer signal box on the up side of the line controlling the crossing and three sidings on the down side of the line serving a large goods yard. 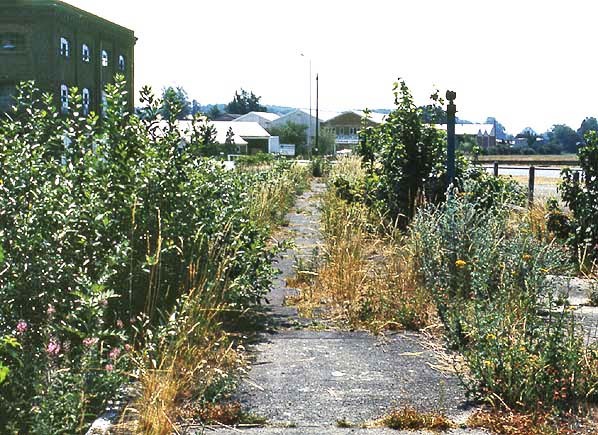 The yard only handled general goods and did not handle livestock. The adjacent Standon Flour Mill also had a private siding which was provided around the turn of the 20th century. Buntingford was one of the many thriving market towns in East Anglia that was bypassed by chance or design by the main lines. When a bill to construct a new route between Ware & Cambridge passing through Buntingford failed, a public meeting was held on 1st August 1856 in Buntingford to discuss the feasibility of building a branch line to the town from Hertford or Ware. At a second meeting later that year a route from the Eastern Counties Railway's Hertford branch to Buntingford was adopted and an application was put before parliament on 11th November 1857 for the incorporation of the Ware, Hadham & Buntingford Railway. 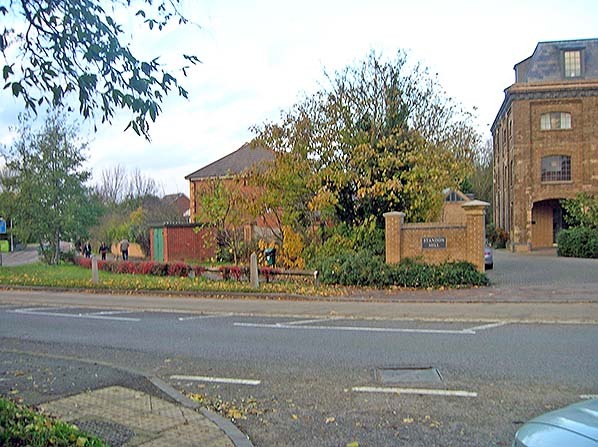 Despite its name, the railway never went to Ware but made its junction further south at St. Margaret's, after a change to the original route was made to avoid offending a landowner. Capital was difficult to raise and there was strong opposition to the route from landowners particularly at the southern end of the line. 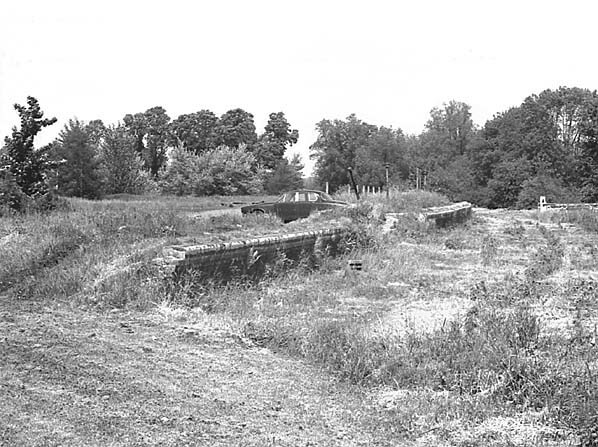 The line had more than its share of troubles; the bridge at Braughing failed a Board of Trade inspection even before opening and the contractor used low-grade timber on the bridge at West Mill, which was completely rotten by 1868. To these troubles was added the high cost of compensating landowners along the route and but for aid from the Eastern Counties Railway who invested £22,000 in the project and later the Great Eastern Railway (six companies, including the ECR, were incorporated into the Great Eastern Railway on 7th August 1862) the line would never have been completed. There was also an added expense with eight crossings over the rivers Ash & Rib. Construction started in January 1859 and although beset with difficulties from the start the thirteen and three quarter mile branch from St. Margaret's to Buntingford finally opened on 3rd July 1863 with intermediate stations at Mardock, Widford, Hadham, Standon, Braughing & West Mill. The branch prospered despite its troubled birth and traffic increased allowing most of the line and its stations were rebuilt before the turn of the century. The growth of the London residential fringe overtook Northeast Hertfordshire by the 1920's when through trains to Liverpool Street were run and walkers were encouraged to use the branch with cheap Sunday tickets. 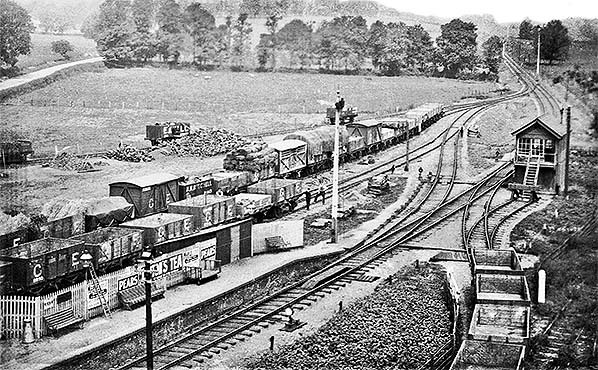 Goods traffic was not so healthy however and the service of three goods trains a day, operated prior to World War 1, fell to only one except at busy times. Passenger numbers remained healthy until the mid 1950's, when car ownership allowed commuters to try Bishop's Stortford and the Great Northern stations which a much faster service to King's Cross which was far more convenient for the West End offices. Few middle-of-the-day trains had more than a handful of passengers and by November 1960 these were eliminated. The business trains direct to London ceased and the choice of motoring to a main line station became more attractive than a DMU with a change to electric train at St. Margaret's. The withdrawal of the passenger service was inevitable and closure of the line was proposed by Dr. Beeching in 1963 with only 2000 passengers a week buying tickets to travel on the line. Despite spirited public objections and a proposal to reduce costs by introducing a railbus the line finally closed to passengers on 16th November 1964. A freight service was retained to Hadham, Standon & Buntingford until 17th September 1965. Barely four months after the complete closure of the line the track was lifted. 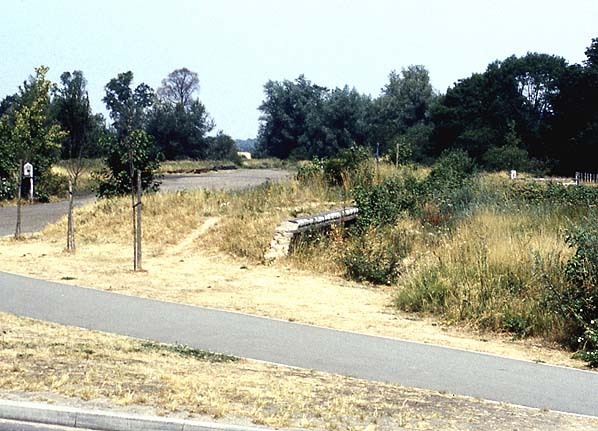 A short section of track at St. Margaret's was retained as a siding serving a gravel pit until March 1969. Buntingford Brewery and Green Tye Brewery are working together to produce a range of handcrafted beers to recall the days of the former Buntingford Branch Line railway. There are eight beers named after the eight stations on the line. Standon station station looking south towards the Stortford Road level crossing.One of the station sidings runs behind the platform up to the station building. 1897 1:2,500 OS map shows the layout of Standon station and goods yard. The private siding that served the corn mill (seen in the picture below) had not yet been provided. A northwards view of Standon goods yard and signal box, taken from the adjacent flour mill during the early years of the 20th century. Click here for a larger view and more detailed caption. 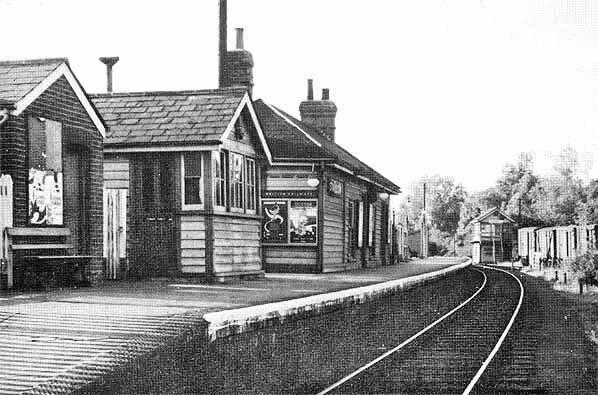 Standon station looking north towards Buntingford in 1957. 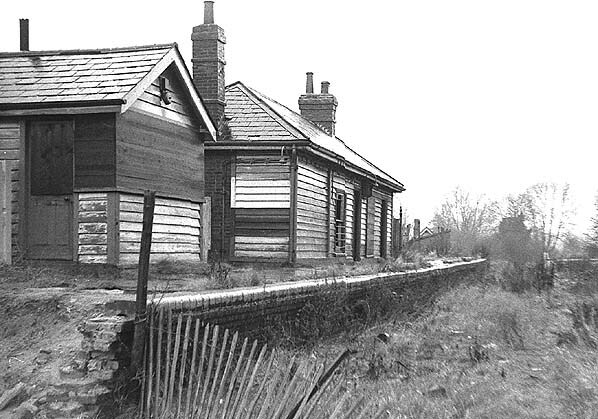 Standon station looking south c1966, shortly before the track was lifted. Part of the corn mills is seen on the left, it is this building that was served by a private siding. 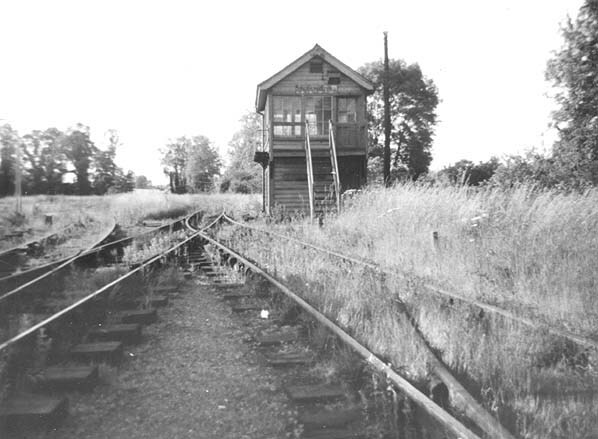 Standon signal box c1966, looking north towards Buntingford. 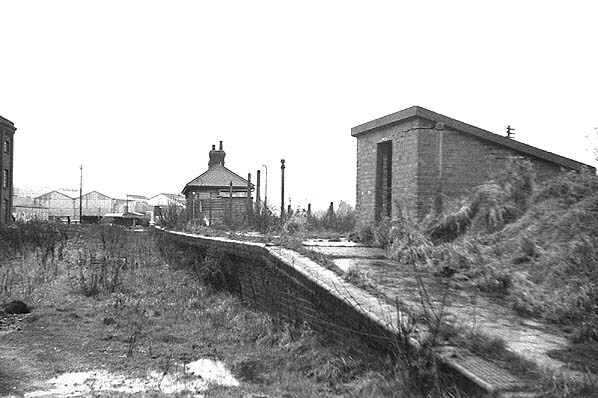 Standon station looking north in November 1968; the end of the platform was cut off to accommodate road widening. The buildings date for 1869, replacing those destroyed by fire. Standon station looking south in November 1968; factories are seen in the distance. These were built in the 1960s; the site is now the Standon Business Park. 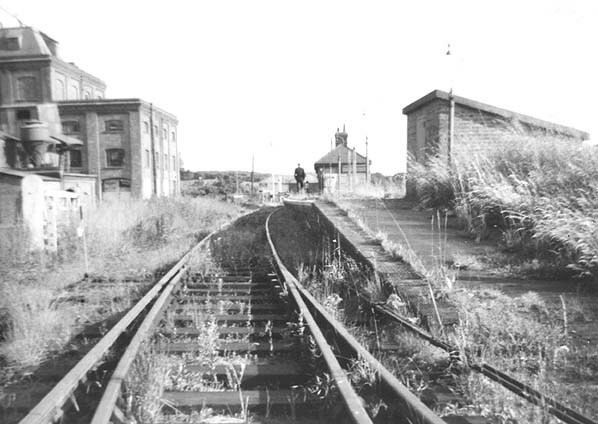 By June 1975 the station buildings had been demolished leaving only the platform seen this northwards rural view. Looking south in June 1975 the view is less rural. Stortford Road is seen beyond the platform and the mill building is seen on the left. Milling on the site ceased in the 1950s. Standon station platform looking north in May 1976. Having widened Stortford Road a new footpath has been built across what was the south end of the platform. 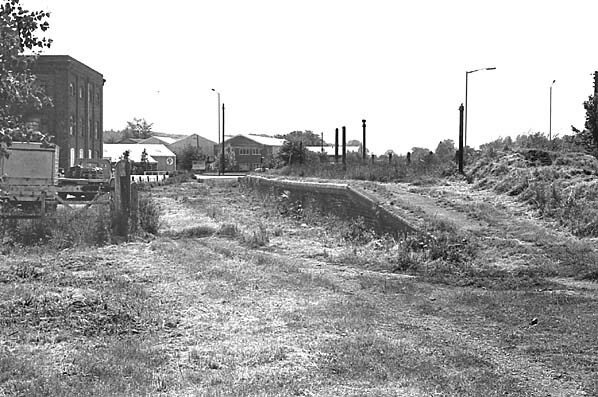 Looking north across the site of the Stortford Road level crossing towards the site of Standon station. The station site os now occupied by Regal Close. Standon Mill seen on the right was converted into a residential property in 2005/6.